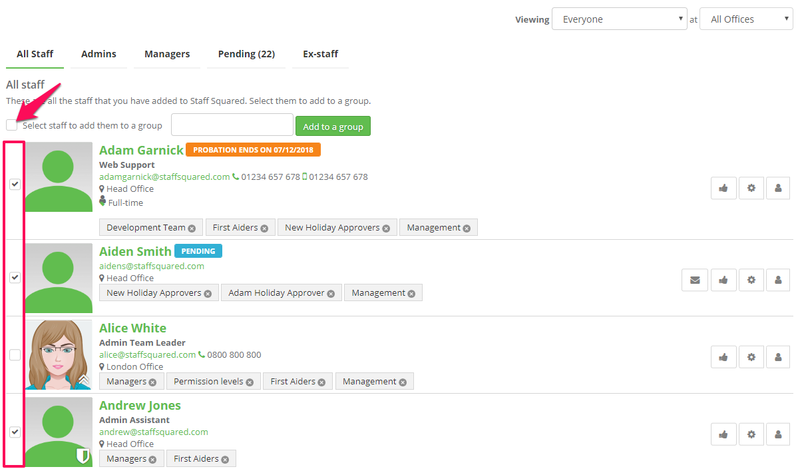 Staff groups can be created to make filtering staff members easier. These can also be used when setting holiday limits or assigning additional holiday approvers to staff. Navigate to your staff directory. Select the members of staff you would like to add to the new group by ticking the box to the left of their profile picture. If you want to add all staff to the group, tick select staff to add them to a group. Type a name for the group in the box that appears and click on add to a group. Once you have done this, you will notice a notification appear centrally at the top of your screen confirming that the staff members have been added to the new group. 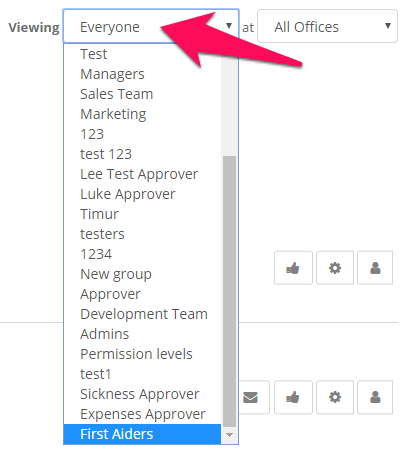 You can then filter your staff directory using the viewing drop-down box in the top right corner. NB: Staff can be added to more than one group.